Hot Chocolate. With Red Wine? 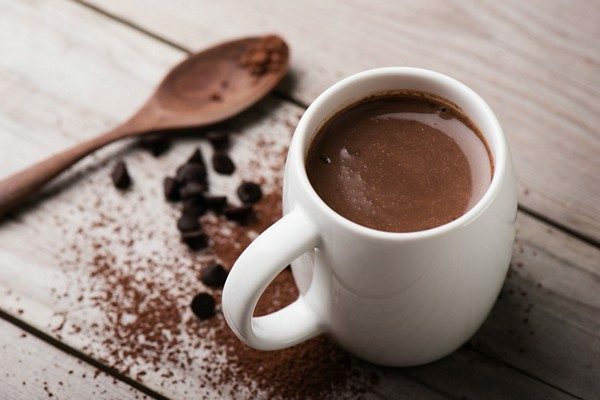 Dubbed red wine hot chocolate, it was the mash-up of 2016. Or mess-up, depending on your point of view. There are certain foods you just don’t fiddle with. Call me a purist if you’d like, but when an ingredient is perfectly delicious why can’t it be left alone? 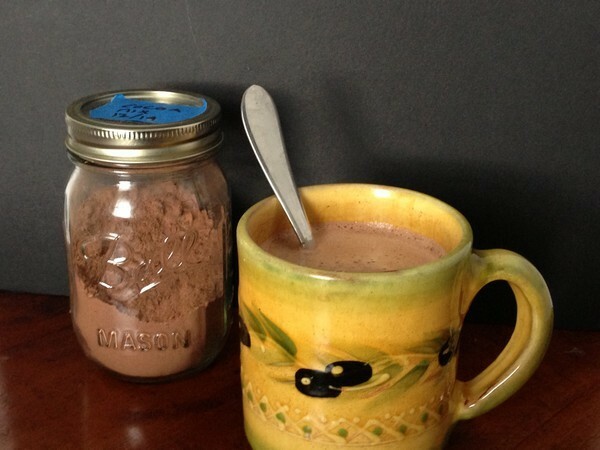 Chocolate (and its drinkable buddy, hot chocolate) are some of those ingredients. So why is everyone inclined to flavor it? I do not like it with chipotle, coffee or cumin. I do not like it with red wine—Burgundy or Beaujolais. Or for that matter, white wine, rosé or champagne. I do not need it with marshmallows—mini, midi or maxi. Handmade or from a bag. And no ménage à trois with red wine and marshmallows (courtesy of the NY Times). No, no, no! I do like it in a mug. I do like it in a jug (to pour in to my waiting mug). I do like it dark and hot. And maybe even with a heart. I do not need it with whipped cream. Unless it’s Angelina’s– my Paris dream. I do not need it 28 ways, as in the number of February days. I do not like it from a bag, and made with water makes me gag. It’s hot and nostalgic but not much more. And my NYC fave? City Bakery’s makes me rave! What about you? 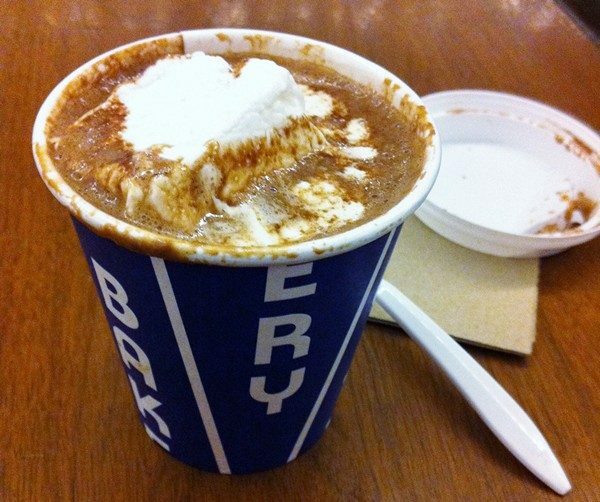 Have you had or will you try red wine hot chocolate? With or without marshmallow? Go for it and let me know how it is! Well, there’s supposed to be powdered milk in it I think, but if there’s some half and half I always add it. As for the red wine, I’d love to know if anyone is brave enough to try it! “Made with water makes me gag” Ha! I haven’t seen this yet, but it sounds like a splash of red wine may give an interesting flavor balance. I’m not sure if I want to try it though!